On the island of Jamaica, there lies a place where fun and romance go hand in hand. Along a splendid solitary stretch of pure white sand and nestled between the swaying coconut trees you will find the lively ambiance of the all-inclusive resort that is Couples Negril. The Couples Negril resort represents an eclectic style of the island with vibrant fabrics and tropical colours adorning each and every room, while paintings and sculptures by Jamaican artists decorate the restaurants and lobby. As well as beautiful rooms in beautiful surroundings Couples Negril has an array of activities for guests to enjoy. With a romantic beach or garden setting to choose from passionate dreams and memories are sure to await you at this truly spectacular Caribbean resort. Under the leadership of its highly creative Bahamian General Manager, Ricardo Bowleg, Couples Negril continues to set itself apart from its sister resorts whilst still maintaining exceptionally high standards. There’s plenty of choice for guests to pick from water sports such as snorkelling, sailing, and scuba diving to land loving pursuits including tennis and yoga. Negril is known as a party hub for locals and tourists. A good party is nothing without a good drink. 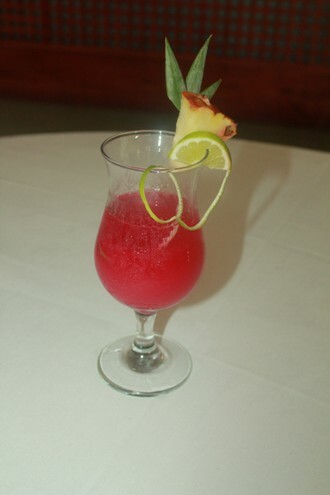 Derrick, a member of the Kitchen Team, created a delicious signature drink during a recent Couples Negril competition. With a mixture of local ingredients including lime, guava and Jamaican rums he wooed the judges with his Passionate Dream concoction. Be sure to ask for it at the bars or on arrival to the resort. Spiced Rums are a tasty addition to the resort’s offerings. 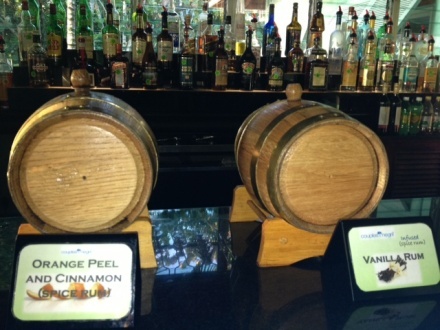 Visit the Piano Bar in the evenings and delight in the flavours of rum with vanilla or orange peel and cinnamon. The Bar Manager, Michael Rowe, will be delighted to take you through the fermentation and storage process of these unique rums created right on the resort grounds! Signature drinks and spiced rums make a wonderful addition to a booked private Picnic Lunch for Two. 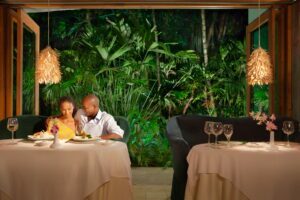 With a sumptuous and mouth-watering menu to choose from guests are treated to the best of the best that the seven mile beach resort of Couples Negril can offer. So, what are you waiting for? Call now 0203 642 9620 and experience your Caribbean Couples Dream.